Today I decided to take my daughter for a spur of the moment adventure. We hopped in the car, turned on my Garmin nüvi 205W 4.3-Inch Widescreen Portable GPS Navigator , selected Keaiwa Heiau State Park, and went for it not really knowing what to expect. Sometimes that makes for the best adventures......well........sometimes. 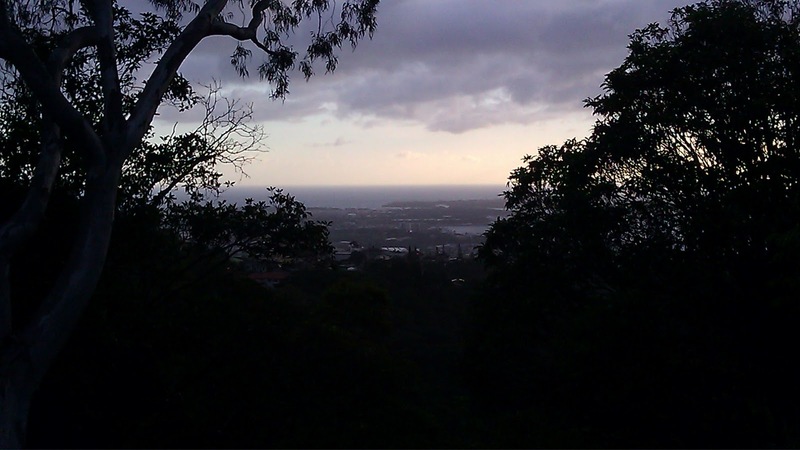 Keaiwa Heiau State Park is near Aiea and Pearl Harbor located about 12 miles west of Waikiki. There are campsites for about 5 dollars a night Friday through Wednesday. 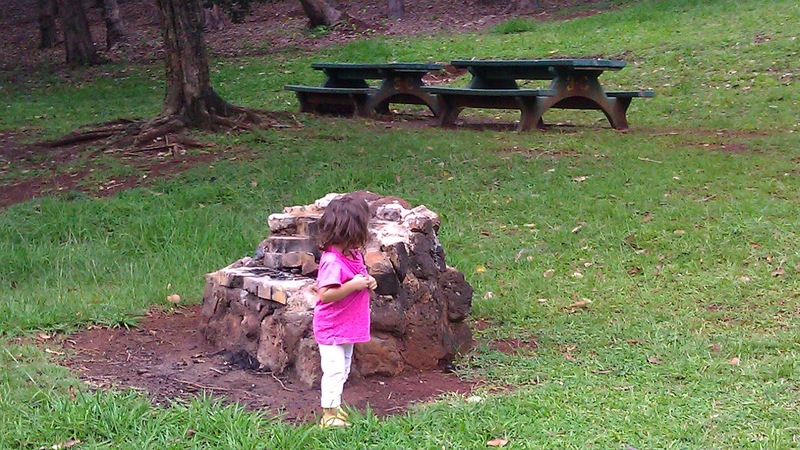 Camping permits can be obtained from the State Parks office in Honolulu (808) 587-0300. 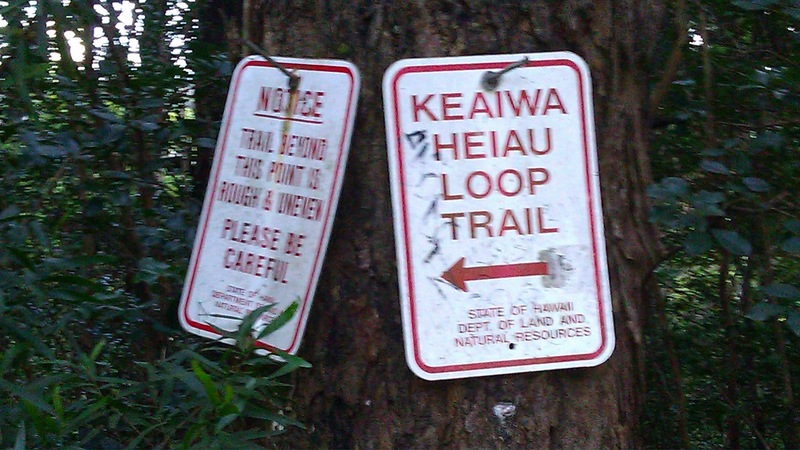 What Keaiwa State park is really known for is The 'Aiea Loop Trail. Lesser know is at the foot of the Aiea Loop trail is the site of an ancient Heiau Ho'ola, or a healing Hawaiian Temple. 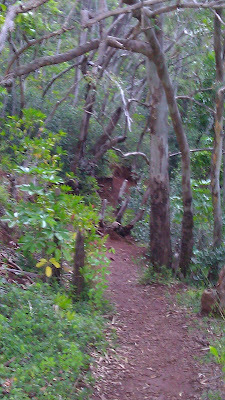 The 'Aiea Loop Trail is 4.8-mile trail that begins and ends in the park. 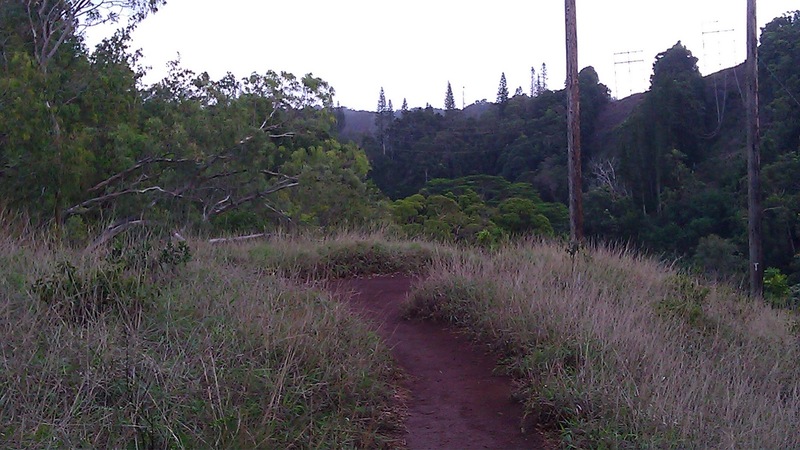 This trail runs along the ridge on the west side of Halawa Valley and offers views from Pearl Harbor (Pu'uloa) and the Wai'anae Range to Honolulu and Diamond Head (Le'ahi). 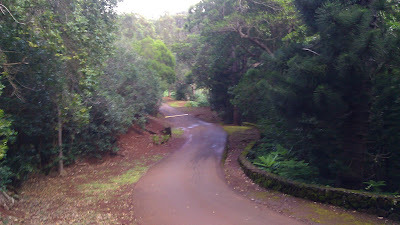 The first picture above is the drive leading to the picnic area. Second is the entrance to the 'Aiea Loop Trail. Make sure to lock your vehicle up and conceal personal belongings as there were many signs warning of car break ins. 2 minutes into the trail you will come across a view of Pearl Harbor and the city of Aiea below. Unfortunately my regular camera's battery died so I used my Android phone to take pictures. 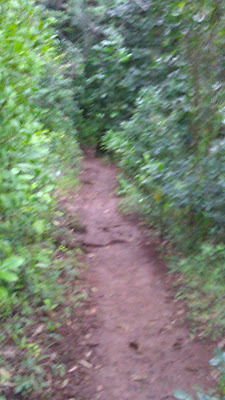 As you go further down the trail it becomes engulfed by the forest and I almost began to feel like I was back in the Pacific Northwest instead of Hawaii. 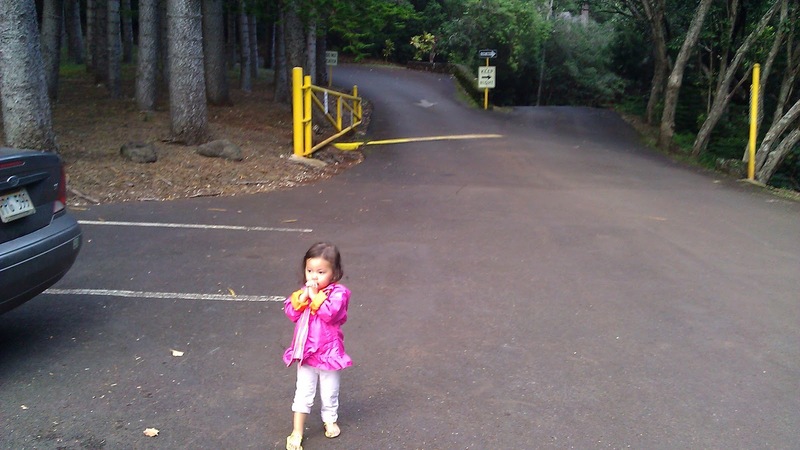 If your family enjoys the outdoors, this hike is a must. 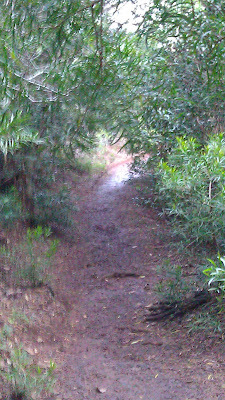 Since it rained earlier in the day the trail was quite slippery and muddy. 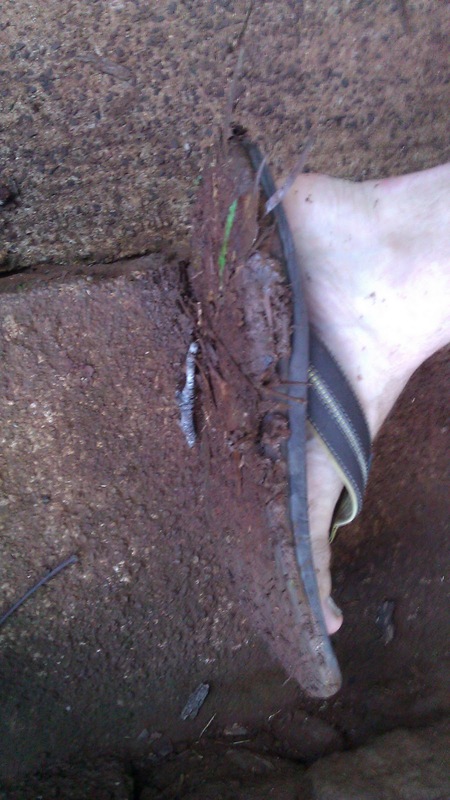 Carrying my daughter with flip flops on became a hazard for us both. 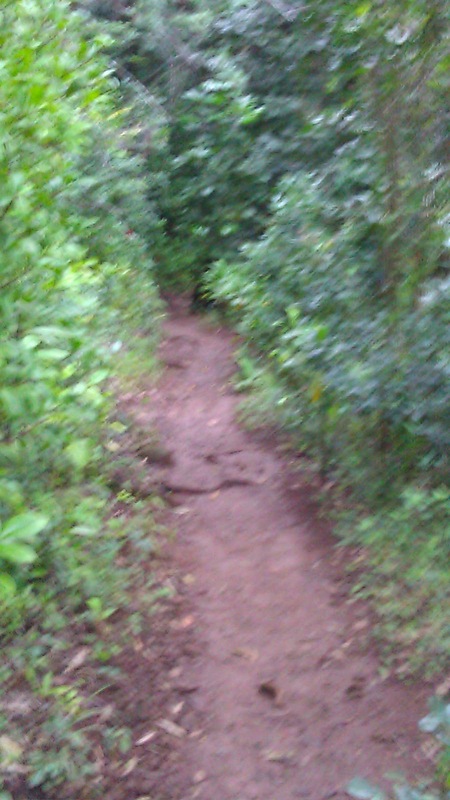 For safety reasons I made the decision to terminate the hike about a mile in. 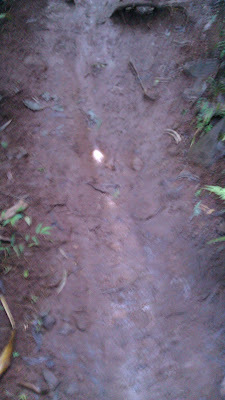 The mud on the bottom of my flops was testament to the condition of the trail after it rains. We will be back with proper hiking boots and insect repellent. 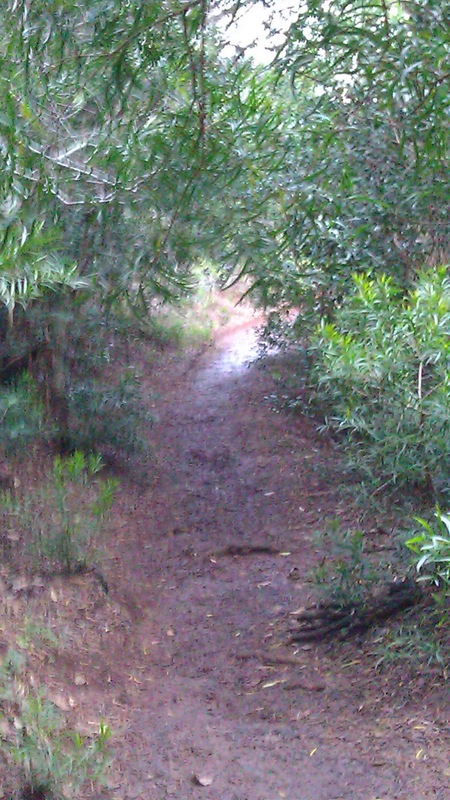 There is a downed WWII US plane that is visible off in the vegetation of the trail that I am looking forward to seeing. 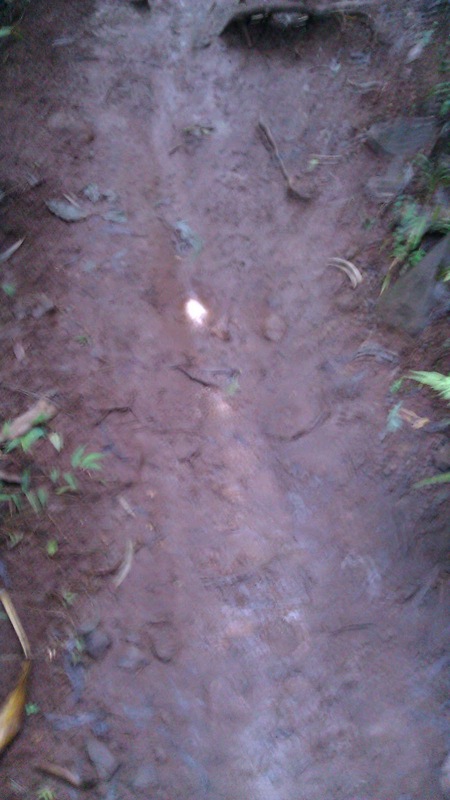 I recommend this hike for families that enjoy the outdoors and that don't mind getting a little dirt on their shoes. 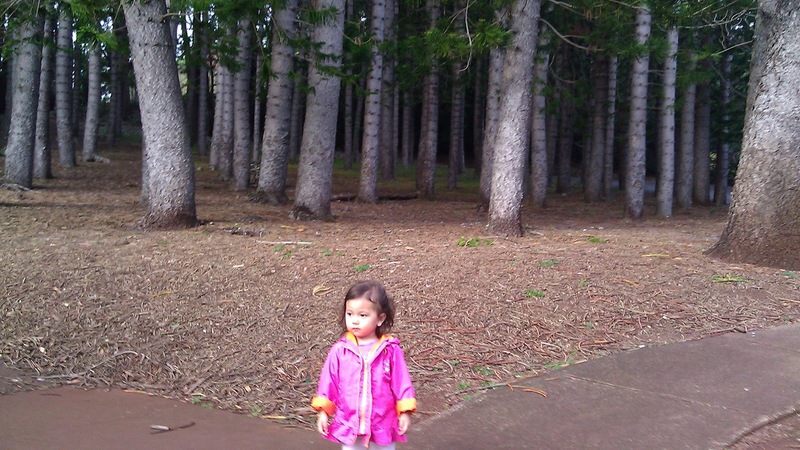 Bring suitable hiking shoes, a walking stick such as the Stansport Outdoorsman Trekking Pole , California Baby Bug Repellant Spray, 6.5 Ounce , and tons of enthusiasm. This was a side of Hawaii, I didn't expect to find and was pleasantly surprised. 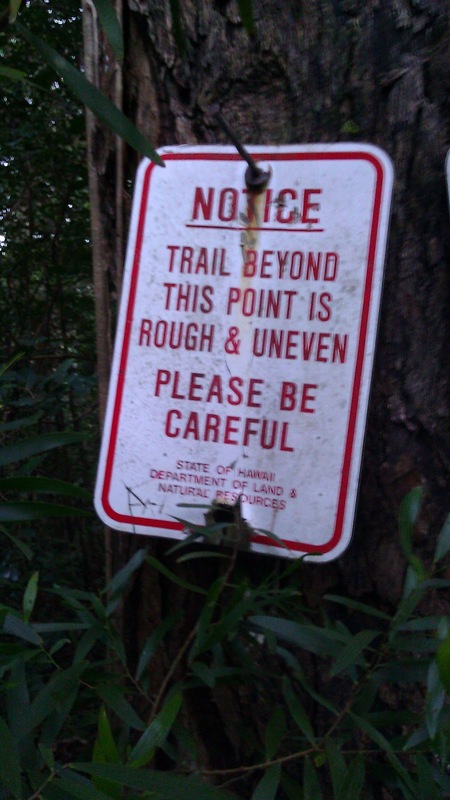 for more information on Keaiwa Heiau State Park go here.